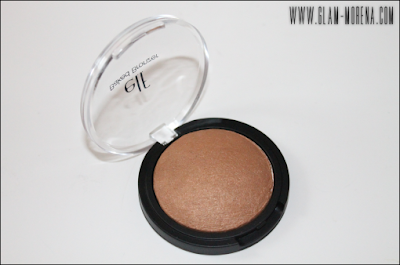 Glam Morena: Swatches: E.L.F. Baked Bronzers. If you've recently browsed the Eyes Lips Face website you probably saw that they added a bunch of new products and shades. One of those items that were recently released were the e.l.f. Baked Bronzers. There are three shades available. 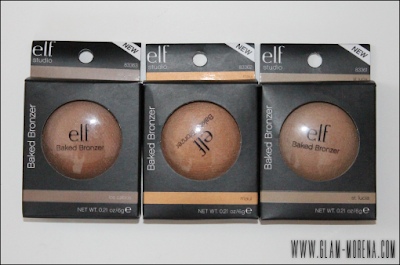 I decided to purchase all three shades during an e.l.f. haul. 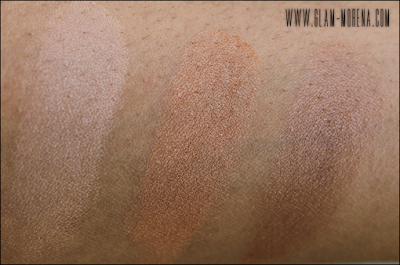 Description: Create a healthy, shimmering sun-kissed look with our Baked Bronzers. 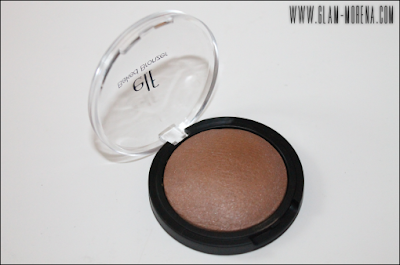 Baked in an oven, these bronzers offer rich pigmentation for a beautiful effect. The long-lasting formula provides a luxurious, smooth and even application. Infused with active key ingredients Jojoba, Rose, Sunflower, Apricot and Grape to nourish and hydrate the skin. Apply this shimmering color dry for sheer pigmentation, or use a damp brush or sponge for a more vibrant effect. 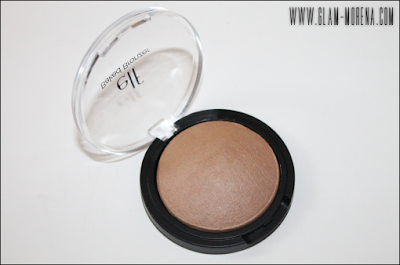 A swatch of the e.l.f. Studio Baked Bronzer in St. Lucia. A swatch of the e.l.f. Studio Baked Bronzer in Maui. A swatch of the e.l.f. Studio Baked Bronzer in Los Cabos. Swatches of all of the e.l.f. Studio Baked Bronzers! Have you tried the e.l.f. Baked Bronzers? Will you? Thoughts?